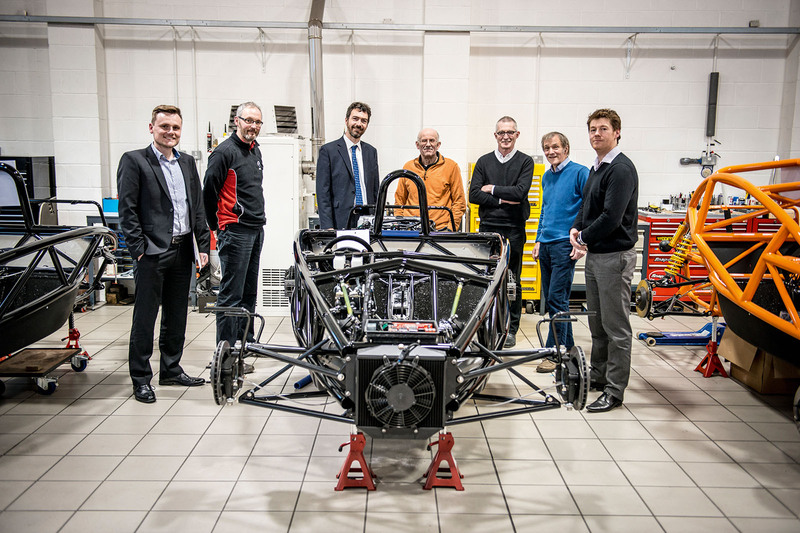 A revolutionary new independent suspension made up of flexible wishbones whose ability to bend replaces conventional springs and dampers is under development by a UK-based engineering consortium. 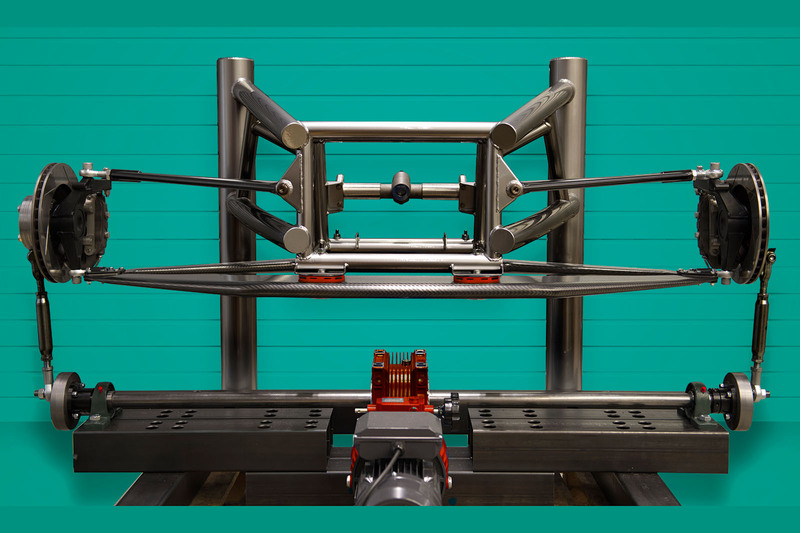 The system, claimed to save about 40% of a conventional double wishbone system’s weight, is dubbed Lift, which stands for ‘Lightweight Innovative Flexible Technology’. The project is part-funded by Innovate UK, the government agency which supports cutting- edge UK technology. on Lift comprises Simpact, a Midlands-based computer- aided engineering specialist, Ariel Motor Company and the Warwick Manufacturing Group. 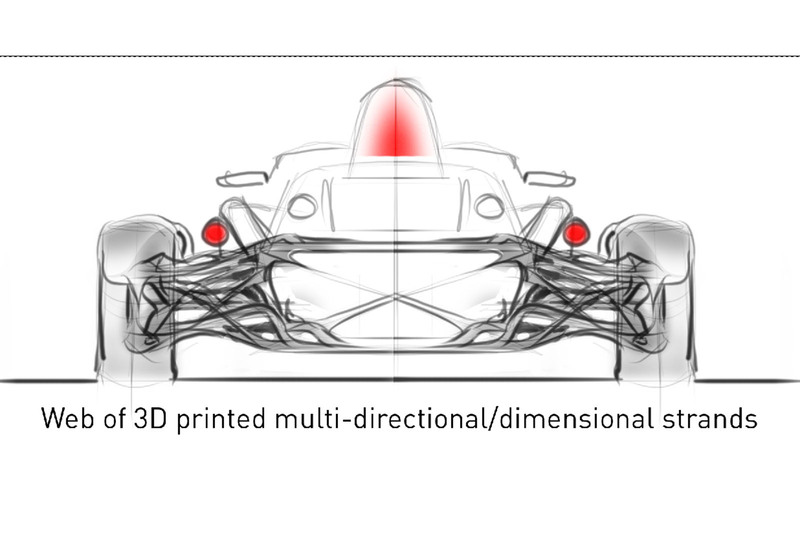 The new suspension will be shown at the Cenex-LCV expo at the Millbrook Proving Ground on 6-7 September, using a display consisting of a modified Ariel Atom front suspension. is also complex, explained Landheer. The parts need very careful hand lay-up at present, with the direction of the fibres and the wishbones’ thickness very precisely controlled. By applying dozens of sensors to the basic structure of a standard Atom, and using the University of Warwick’s measuring apparatus to record the car’s behaviour, the partners were able to gather large quantities of data about the basic functioning of a conventional suspension system and then apply it to the design of Lift. their bending behaviour when electrified) that have the potential to provide improved damping without any need for a classic tubular damper. The work on Lift so far revealed is the product of a year’s backing from Innovate UK. The next stage would be to build a running Atom prototype, but the go-ahead for that awaits the results of further funding competitions. Though the first Lift parts will be tested on an Atom, Landheer says the system should allow designers great flexibility in devising future suspensions. Configured for a service life of about 620,000 miles, Lift should have no serious durability problems and be applicable to both light and heavy vehicles. It should also afford designers the opportunity to go for sporty or luxurious suspension — or anything in between. Like all the best ideas you wonder why no-one has thought of this before. And if it can provide damping as well, then it must surely be the ultimate in light weight and simplicity. Maybe there's a hidden snag? It looks very similar to transverse leaf suspension. Very interesting and it will be good to see what happens. However, I think the big snag will be cost and the cost of repair if the suspension gets damaged. I suppose it has certain similarities to longitudinal leaf springs which act both as axle-locators and springing media. Car suspension designs can be even more advanced than this. No, its not a transverse leaf - look at it - its transverse, yes, but it clearly aint a leaf spring and as XXXX Hydrogen Pop says, this also provides damping, unlike a transverse leaf. It's not a leaf spring obviously but it fulfils a similar function. Tuning it sounds complicated and what about adaptive damping? It does say it replaces dampers to. Volvo already have composite leaf springs in their new XC90 but they don't have a dampening effect. Yes, indeed, but the first vehicle with composite leaf s the 1986 facelift of the Leylend/Freight Rover/Sherpa/Pilot. ...but the first vehicle with composite leaf s the 1986 facelift of the Leylend/Freight Rover/Sherpa/Pilot.